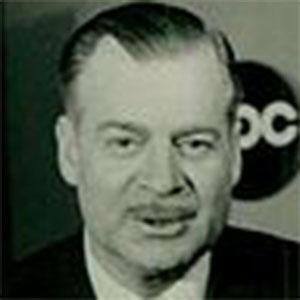 ABC and CBS broadcast journalist who anchored the ABC Evening News from 1962 until 1965. He gave round-the-clock coverage of JFK's assassination. He worked for the Federal Bureau of Investigations for two years, after which he joined a Boston radio station. He worked on a few CBS news and human interest-related programs, including Man of the Week and Answer, Please! He was married to his wife Beulah Tracht for 56 years and together they had a son, Ronald W. Cochran, and a daughter, Judith Cochran-Smith. He was succeeded by Peter Jennings who would host ABC's evening newscast from 1965 until 1967, then again from 1983 until 2005.